The Marguerite and Aimé Maeght Foundation is a unique example of a private European Foundation. This architectural ensemble was entirely conceived and financed by Marguerite and Aimé Maeght to present modern and contemporary art in all its forms. Painters and sculptors collaborated closely in the realisation of this Foundation with Catalan architect Lluís Sert by creating frequently monumental works integrated into the building and gardens: the Giacometti courtyard, one of the world’s most famous ‘in-situ’ works, the Miró labyrinth filled with sculptures and ceramics, the mural mosaics by Chagall and Tal-Coat, the pool and stained glass window by Braque, the Bury fountain etc. 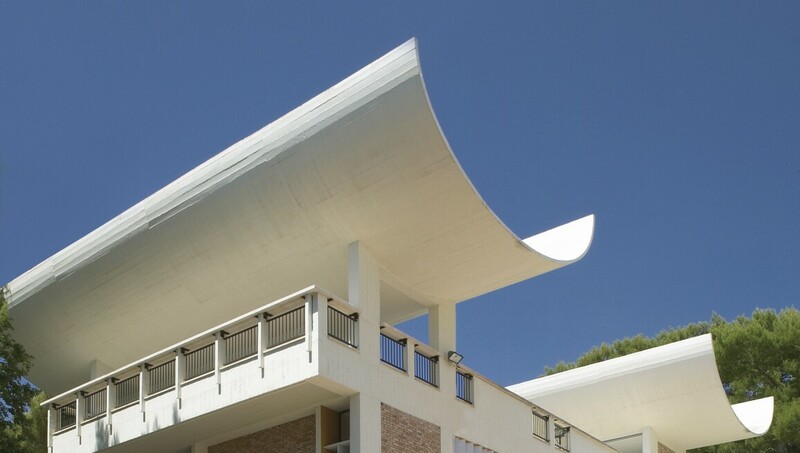 A true museum in nature, the Maeght Foundation is an exceptional site that contains one of the most important collections in Europe, with paintings, sculptures; drawings and graphic works of modern art from the 20th century and contemporary artists. © Marco Del Re / Galerie Maeght Paris. Photo Claude Germain Archives Fondation Maeght. © Alekos Fassianos. Photo Claude Germain Archives Fondation Maeght. © Gérard Fromanger. Photo Claude Germain Archives Fondation Maeght.